Started drawing, painting and constructions at an early age. Graduated from Otis Art Institute in Los Angles, Ca. receiving a BFA. My work has been shown at various galleries and group shows in the US, Europe, and Asia and has been collected by corporations and private collectors. Presently and for the last several years, my concentration has been on sculpture and installations. I have been working recently on a series of imaginary landscapes (aerial view) and city objects. The form is abstract, expressionistic, and minimal. The materials used include steel, aluminum, wood, plaster, and various plastics. The landscapes and cityscapes are sheets of aluminum and steel heated and hammered into the shapes I want. They are modular and welded together using the grid as their basic structure. City objects are made from steel, aluminum, plaster, and fiberglass and take a more traditional minimalist sculptural form than the wall reliefs. The work has followed several themes that have been of interest to me for quite some time. These interests include machines, the wheel, basic geometric shapes, and how manmade objects fit into nature. Much of the work takes the form of symbolic geometric shapes. The use of archaic signs and symbols such as circles, spheres, rectangular boxes, and cones are symbolic not intellectual forms. The use of archaic symbols and primary elements removes the work from a time frame and beyond cultural definition. 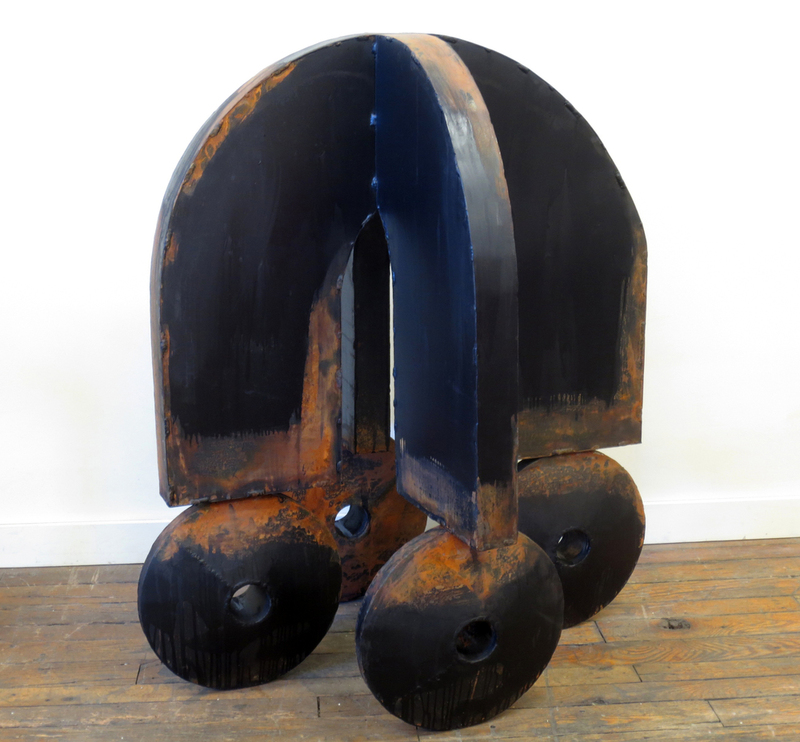 I have been most influenced by sculptors Anthony Caro, David Smith, Bruce Nauman and Richard Serra.